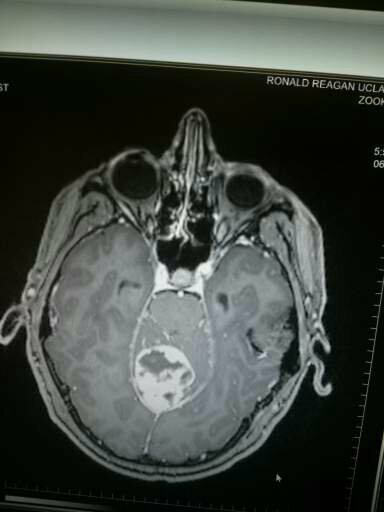 Stop Brain Cancer | Brain Cancer continues to take our best. Help Stop it! 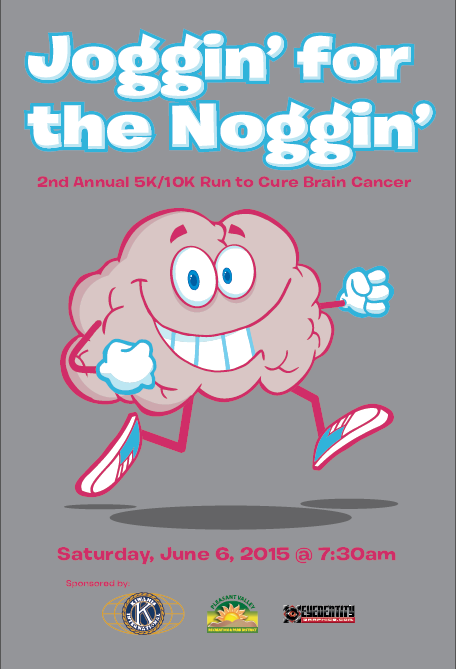 The 2nd Annual Joggin for the Noggin is right around the corner! This year we have added some new survivors to the planning team. The run will be a little different from last year. We will have medals, a DJ, and time results will be digital and instantly available. The mayor will be shooting off the gun at the start of the race. This year we hope to raise more money than last year for brain cancer research. 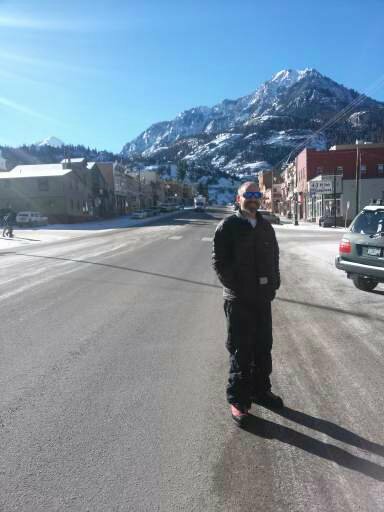 In February 2015 I had an amazing time with a group of cancer survivors ice climbing in Ouray, CO. I applied for the opportunity through First Descents. I made memories and friends that will last a life time. I’d recommend all cancer survivors to look into First Descents. 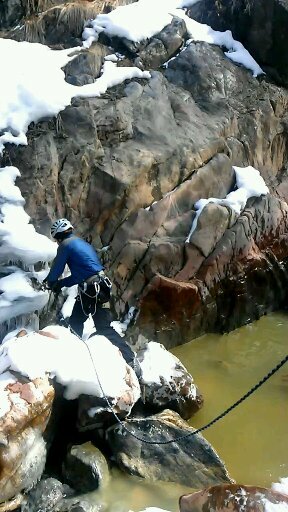 I loved ice climbing. 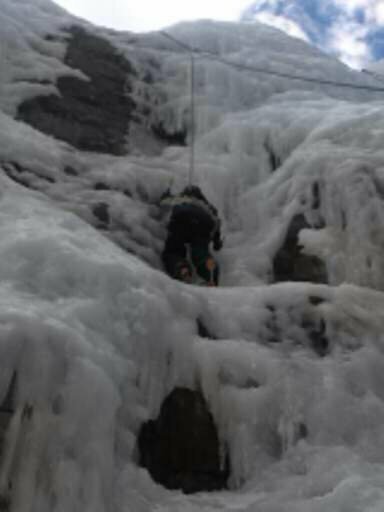 We had a week long trip of ice climbing every day, along with hot tubbing and eating yummy organic food prepared by chefs. The opportunity was made available free of charge due to donations. I just attended a planning meeting with the Camarillo Kiwanis club members to discuss planning for our upcoming 5K/10K that will be held in April (we haven’t set a concrete date). It is exciting to be involved in making the run a better one than the last. If you are interested in helping out in any way with the planning, marketing, or organizing of the event please let me know and I will update you with our planning meetings throughout the next several months. The next meeting will be on 11/18 at 7pm in Oxnard. Contact me for details. 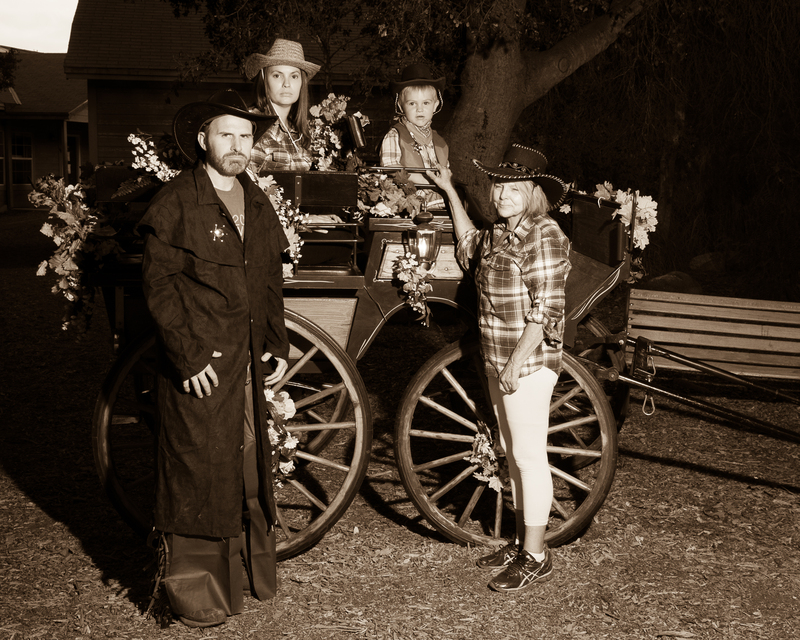 The first weekend in October my wife, son and mother attended Camp Keepsake with me. The camp was in a great location in Ojai, CA. 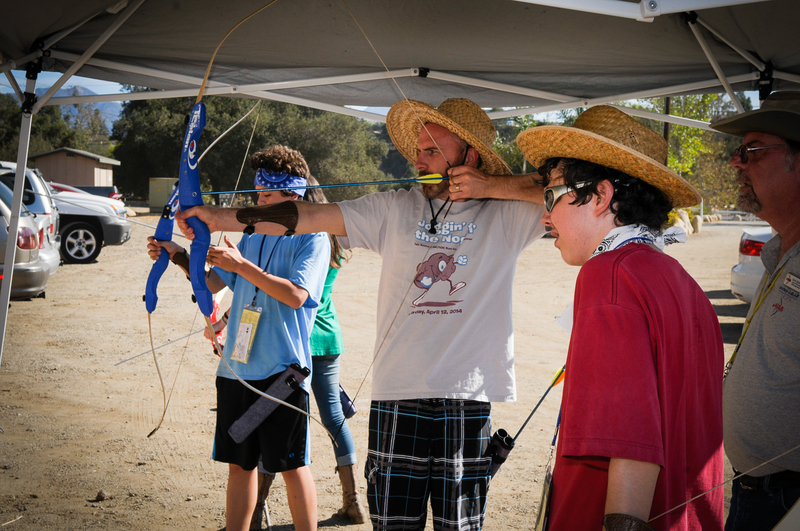 We applied to participate in the camp several months ago-the camp is for cancer survivors and their families. It was an amazing camp, the only downside was the fact that it was over 100 degrees during the day the whole weekend. It also dropped to 50 degrees at night. They had so many activities to choose from there wasn’t enough time to do them all. They even had spa treatments like massages, reiki, haircuts, manicures, facials, etc. They provided our meals, lodging and entertainment for the entire weekend. The last night of the camp there was a ceremony where each cancer survivor and their family shared their hopes and dreams written on a paper scroll. 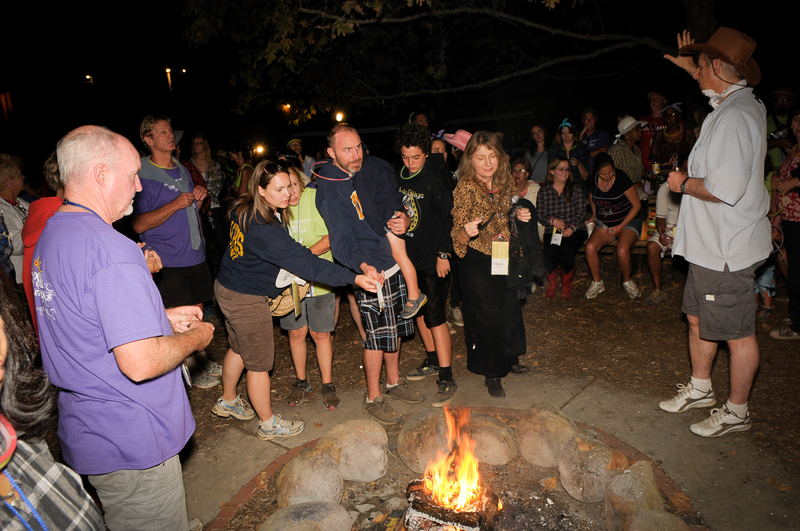 Then after the share out everyone threw their scrolls into the fire-to symbolically go into the universe. Each year they collect the ashes and give them to all campers in a small vial to keep. The reptile lady from Oxnard was entertaining. 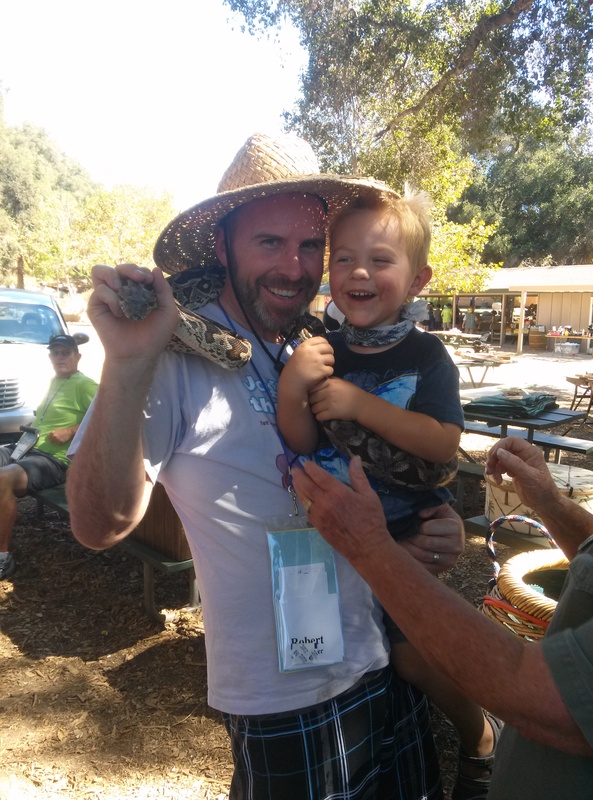 My son really enjoyed touching the snakes and reptiles. 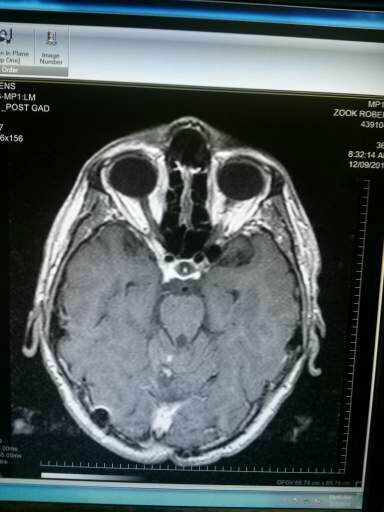 At my most recent doctor’s visit at UCLA in September I reviewed my MRI results. There was no perceived growth. Over the past year since I finished chemo I feel stronger and less fatigued gradually each month. For example I might take naps 2-3 days a week as opposed to every day. I do still feel more absentminded and out of shape since my surgeries. 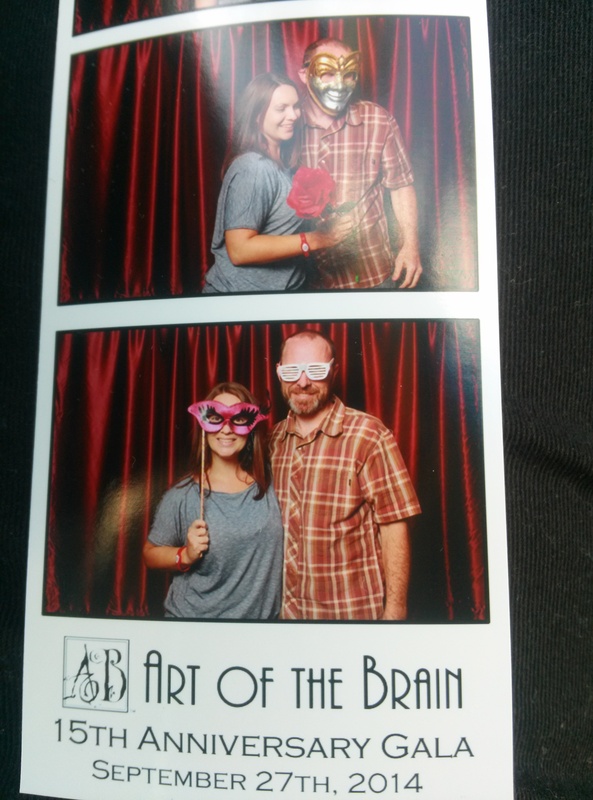 My wife and I got to attend a dinner gala at UCLA called “Art of the Brain” in September. 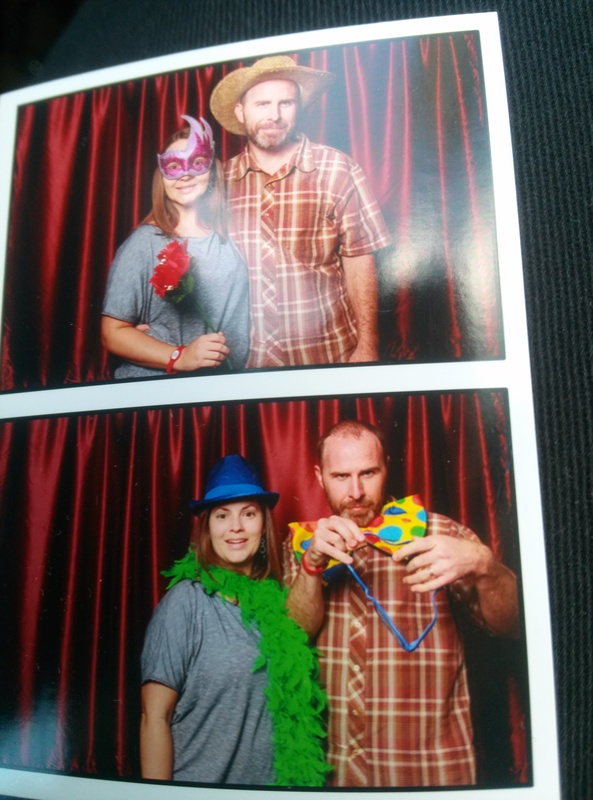 It was an annual fundraiser to raise money for brain cancer research. It was a fun event; we listened to String Theory and sampled yummy food donated by local eateries. There was also an art exhibit on display showing art work of brain cancer survivors. The Thursday after the dinner gala at UCLA I attended my first group meeting for brain cancer survivors at the Westlake Village Cancer Support Network. They meet the first Thursday of every month from 6:30-8:00 (530 Hampshire Rd, Westlake Village 91361). I recommend the group to other brain cancer survivors. It was nice to be able to talk to people who have the same type of cancer and treatment. They also have a separate group meeting simultaneously for the caregivers of survivors. The run on April 12, 2014 was a great success! 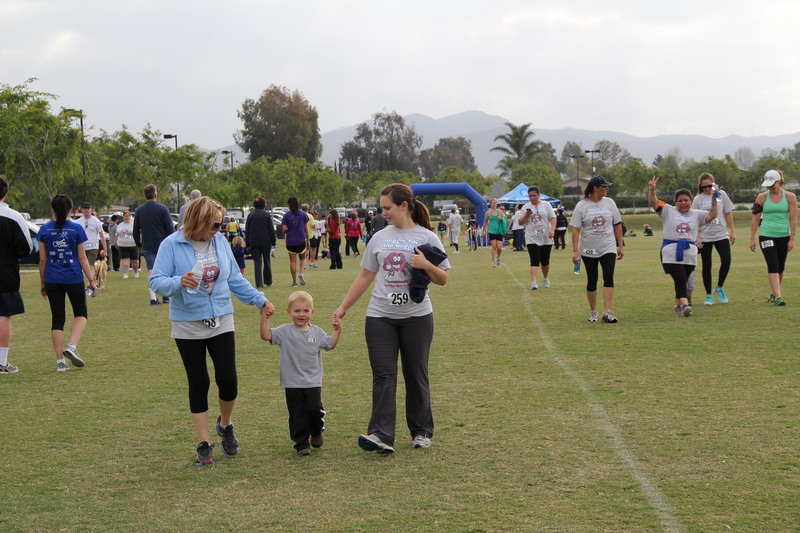 We had a great turn out with more than 500 participants and we were able to raise over $30 K to fight brain cancer. The weather was perfect for running, not too hot or cold. It was nice to see so many brain cancer survivors participating in the event along with large groups of supporters. I look forward to doing it again this time next year. Thank you for your support. On May 9th and 10th UCLA will have a free Brain Tumor Conference for survivors, family, friends, caregivers. I highly recommend it. You can even meet with their top neurosurgeons to discuss your case or get a 2nd opinion. Well it has been a few months since I’ve updated my blog and a lot has gone on since I posted in November. Since it has now been almost 6 months since I have finished chemo my body has been adjusting even more. I don’t feel the chronic aching throughout my body like I felt during chemo and the few months afterwards. My fatigue has gradually improved, so much that I have been able to increase my work hours to almost full time. I was also able to travel over the holidays to visit family. More recently I have been busy working with the Camarillo Kiwanis to put on a fundraiser 5K/10K to raise money for brain cancer research. 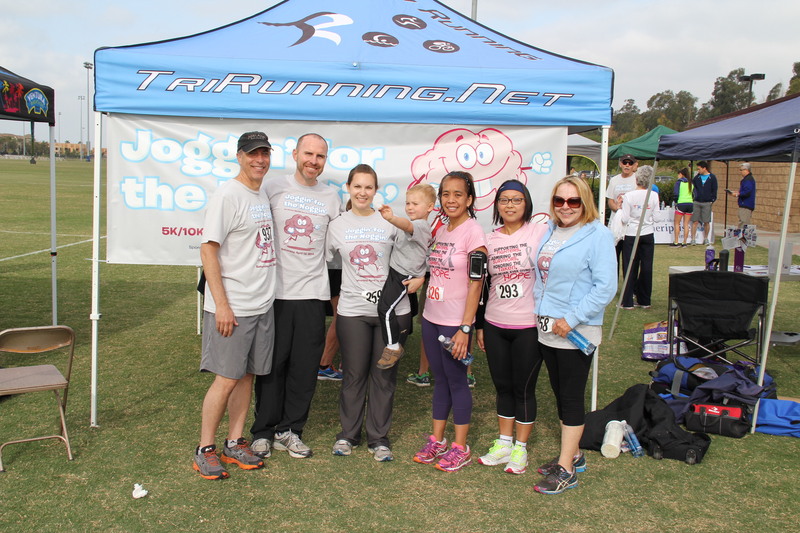 It will be on April 12th, 2014 in Camarillo (runtocurebraincancer.com). I appreciate all of the support of family, friends, and members of the community who have helped to donate to this cause. I hope one day this debilitating disease will be eliminated.